Here is our extensive Nissan forklift manual library (PDF formats) that includes the forklift repair and parts documentation and service instructions. These complete Nissan forklift manuals contain information you need for your materials handling equipment, as provided by the manufacturer. The Datsun brand was a predecessor to Nissan, which got its start in 1914 as DAT Motorcar. The “DAT” name came from the first initial of the three founders’ family names. In 1931, DAT introduced a new small car they called the Datson, which later morphed into “Datsun.” Later, the company renamed itself Nissan. Besides cars, the company also makes commercial vehicles and forklifts. Datsun forklifts are still around, but the company now makes the industrial trucks under the Nissan nameplate. Datsun forklift manuals can be hard to find at times. The best place to look is on eBay where you will often see used paper Datsun forklift manuals available for sale. A wide range of Nissan forklifts are available to serve your materials handling needs. Our forklift manuals are available for all top lift truck models from Nissan. They are instantly downloadable in a PDF format, and can be read on any computer with a PDF reader. 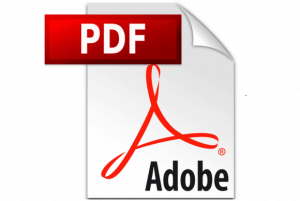 You can read PDF documents on mobile devices such as iPhones, Android smartphones, tablets and desktop and laptop computers. That includes computers that run Windows software as well as the MacOS operating system. Click the link to the model you are looking for then download the PDF document to your mobile device or computer. It just takes a minute of your time and you will then have the Nissan service manual you need on your device. 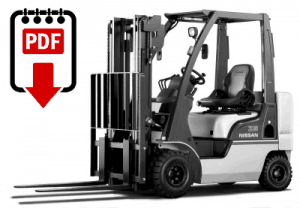 For more information on Nissan lift trucks, you can visit this link.